The smell of fish coming from the cold case in your grocery store is your first hint those fish odors are coming home with you. Really fresh fish doesn't smell. But after a few days, the chemicals within the fish start to react and your nose is the first to know. 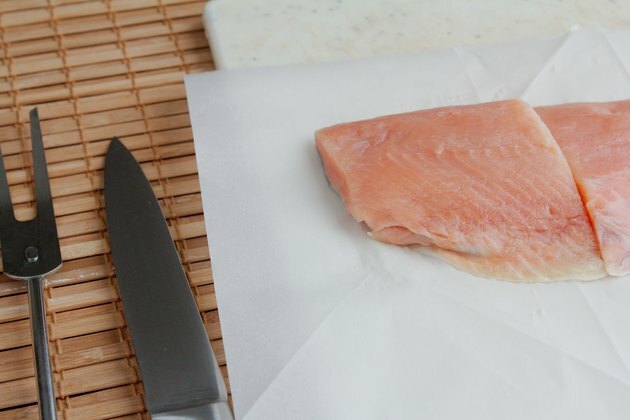 Get rid of fish smells before and after cooking with a few home remedies. Enjoy the fish while you're eating it but not for days after. Enzymes containing bacteria go to work once a piece of fish or shellfish dies. Decomposition sets in and the result is the fishy smell that assaults the senses. Touch the flesh of the fish before buying it -- the firmer it is, the fresher it is. If the fish smell jumps out when unwrapping the piece, there are remedies to combat the odor without affecting the taste of the fish. Pour fresh milk into a bowl and soak the fish for at least 20 minutes before cooking. The enzymes in the milk connect with those causing the odor and the smell is reduced. 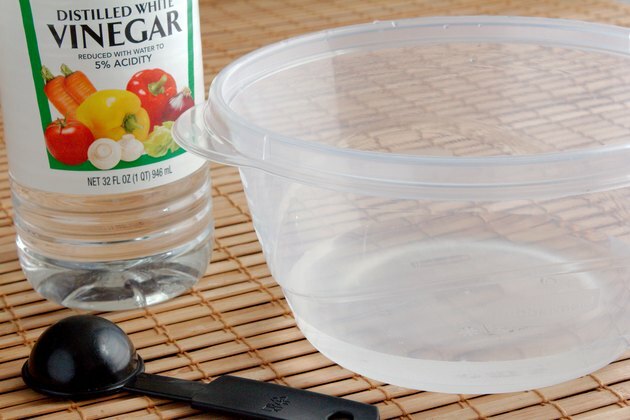 Another trick is to soak the fish in 4 cups of water mixed with a few tablespoons of vinegar. After cooking the fish, an odor may linger. Use a chef's candle containing extracts of basil, patchouli and geranium while you're cooking and the smell is eliminated. A lavender-scented candle also works. Boil a lemon on the stove top and let the steam combat the odor, or simmer a pot containing a few cloves, cinnamon or vinegar for about 30 minutes. The vinegar smell may linger but it disappears soon after. A simmering onion does the trick as well, but an onion odor may take the place of the fish's smell. 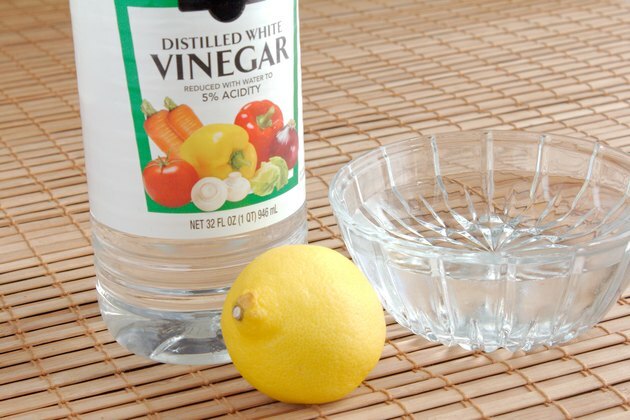 A bowl of vinegar left overnight on the counter should take the odor away. Depending on the surface that's affected, remove fish oil smells by first blotting the affected area then cleaning it with a paste of baking soda, lemon and water, or salt and water. Rub a paste of baking powder and water onto the surface of a wooden chopping block or sprinkle salt to disperse the smell from the wood. Fresh lemon also works on wood. 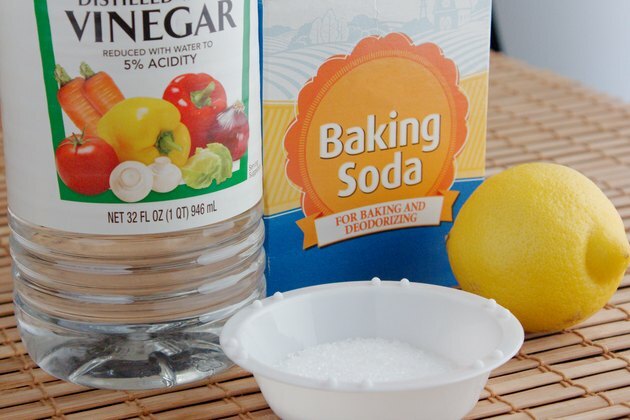 Complete the job by mixing lemon juice and water and using a clean rag to wipe down your wood kitchen cupboards. 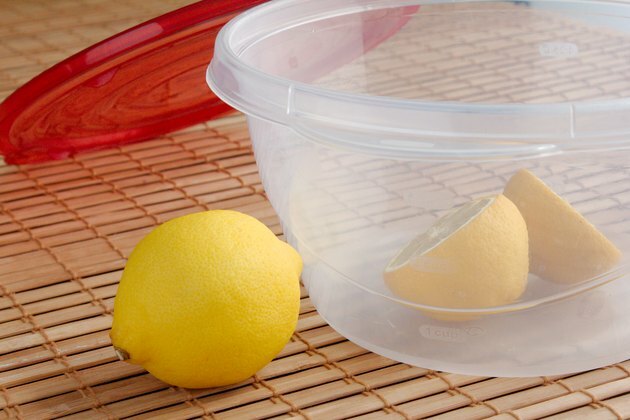 Seal smelly plastic bowls with a cut lemon inside and the fish smell disappears from them. Cut a few potatoes and put them in the offending pan or put brewed tea into the pan to chase away the fish smell. Your fingers and hands pick up the smell of fish when you're preparing and cooking it. Rub salt over your hands -- but not if you have cuts and nicks. The salt sting is worse than the fish odor. 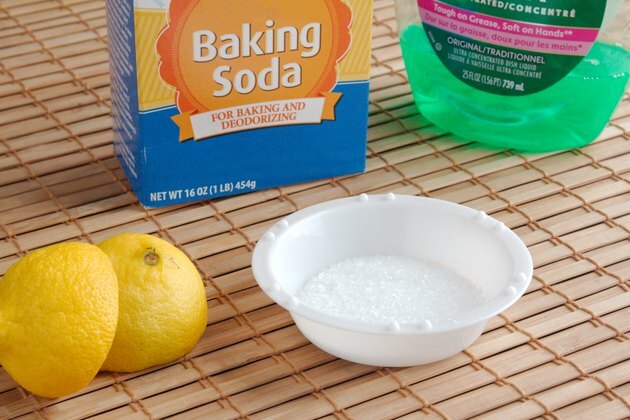 Lemon or any citrus, baking soda or washing with a strong dish soap and water should refresh your hands.